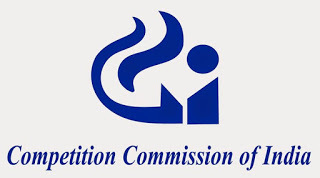 Competition Commission of India Jobs Recruitment Notification 2018.Competition Commission of India, CCI inviting applications for the positions of professional and support staff namely additional director, joint director general, office manager, deputy director general post.Interested and Eligible candidates can apply for the positions. Total number of vacancies to be filled in Competition Commission of India is 18. Post names are given below. Officers of All India Service or Central Civil Service Group-A or Autonomous organizations or working on analogous post with relevant experience can apply for the posts. Maximum upper age limit for applicants is 56 years. Mode of applying for Competition Commission of India recruitment is through offline by 24th September 2018.
https://www.cci.gov.in/ is the link for applicants to download application form and send to below-given address. Competition Commission of India, 08th Floor, Office Block, Tower-1, Ring Road-Opposite AIIMS, Kidwai Nagar (East), New Delhi-110023.